Almost without exception, the platformers that have done well on mobile are the ones with novel controls, and not the ones that try to mimic the D-pad-and-buttons input method of yore. A touchscreen is a blank canvas, with the potential for unlimited new ways of playing games, and developer WojWorks was clearly aware of this when it came up with Dribble! This ingenious platformer involves guiding a ball with the unenviable name of Dribble through seven worlds and 28 stages. You control Dribble with swipes of your finger in any direction. Up makes him jump, down makes him plummet, left and right make him dart in the corresponding directions, and so on for all 360 of the compass degrees. 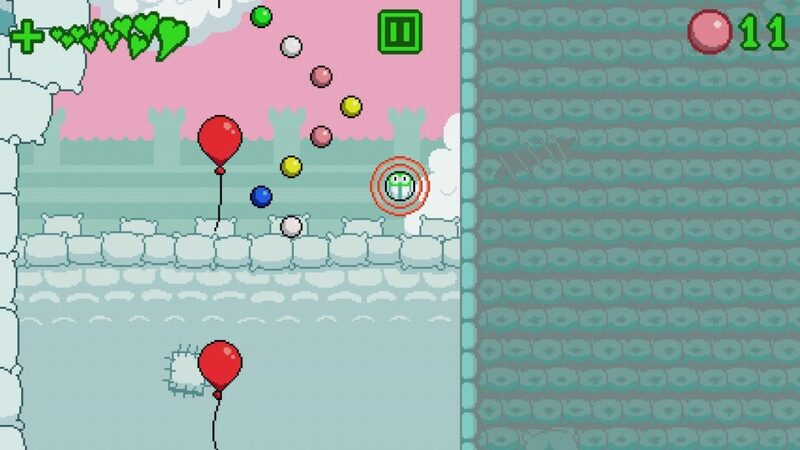 Using this simple but tricky-to-master control method, you have to help Dribble rescue his friends after they’re kidnapped by the evil BizBots. 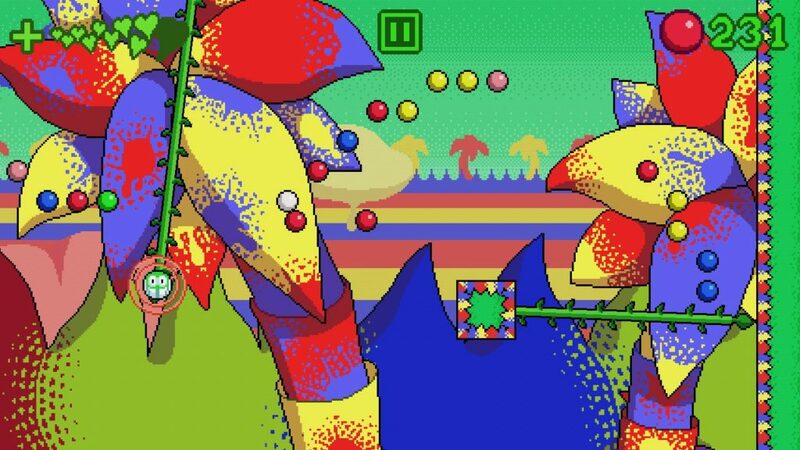 There’s a diverse collection of worlds, from the relatively straightforward Loony Land, where you have to maneuver around spikes and jump on bounce pads, to the puzzle game-like Paintforest, where you’ll need to color Dribble with paint in order to break down matching walls. For instance, if you come across a red wall blocking your way you need to cover yourself in red paint by finding a red drip or waterfall. But that’s only half the challenge, because you also need to get back to the red wall without being splashed by blue or yellow paint. Then there’s Floaty Fluff Fortress, which messes with gravity itself by plunging you into regions of dense pink fluff, and Bad Odor Bayou, where you have to bounce on garbage cans to open pathways and creating super springy bounce pads. That’s just some of the worlds Dribble! has to offer, and all of them are presented in a stylish retro SNES-era fashion. Dribble! is out now. You can pick it up on Google Play or the App Store for $1.99.